Ten design districts, nine days, eight talks, seven parties, six after parties, five exhibitions, four hours sleep between each day, three fabulous media partners, two tired legs and ONE city. This year, an estimated number of more than 450,000 designers, architects and creatives from more than 75 countries visited the 16th edition of London Design Festival – and what a way to remind the world of London’s position as one of the best design hubs in the world than with the installation of a fifth lion protecting the city’s landmark Neslon’s Column in Trafalgar Square. 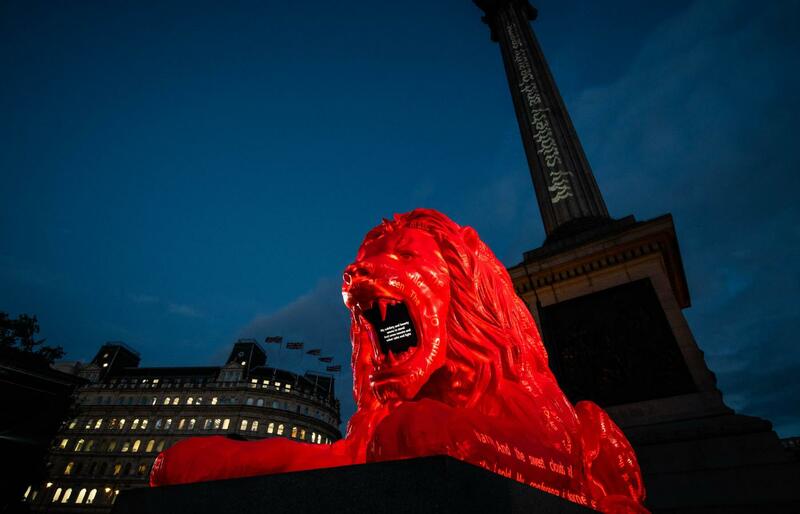 We were ready to hear London Design Festival roar, and with two days still remaining, that roar can still be heard echoing in an around the city. 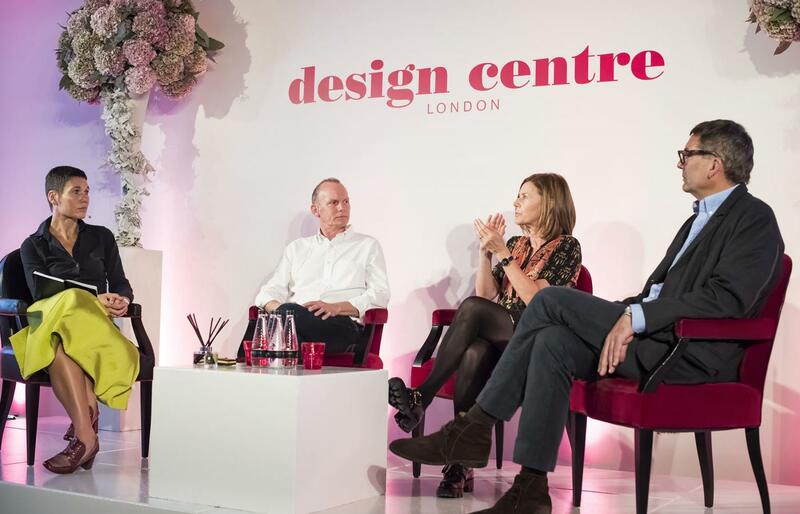 Positioned in the one-stop interior design haven of Design Centre Chelsea Harbour, with more than 120 showrooms, Focus18 began with a topical discussion about how to use Instagram effectively for business. Among the showrooms, Vaughan showcased a new collection with a strong focus on table lamps. Demonstrating that interior design inspiration can come from anywhere, its new Tribal collection is based on travels around the globe that Lucy Vaughan, the creative director of the brand, has experienced. 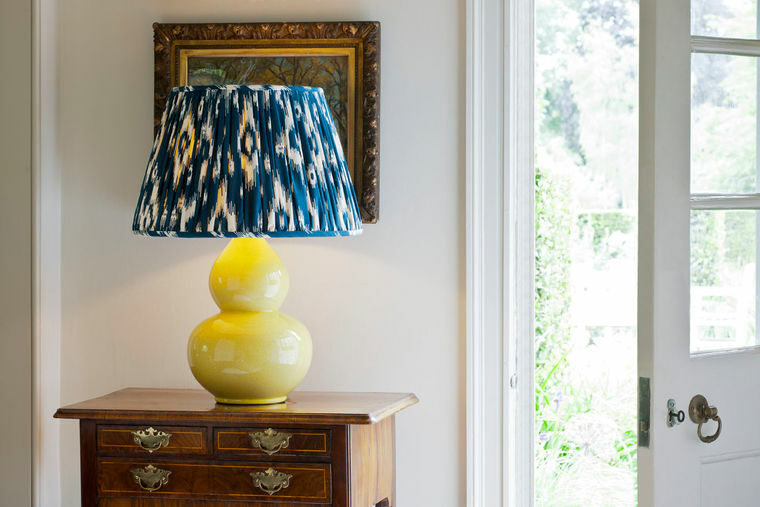 The result is an array of vibrant lampshades, embroidered cushions and unusual upholstered chairs which aim to celebrate the craftsmanship and culture of fabrics Vaughan and her daughter have sourced. Each unique in their own right, the collection is ideal for boutique hotels looking to create a statement, an editorial story we brought you only last week. Elsewhere, the award-winning Alexandra Champalimaud celebrated her love of fabrics by unveiling Framework. 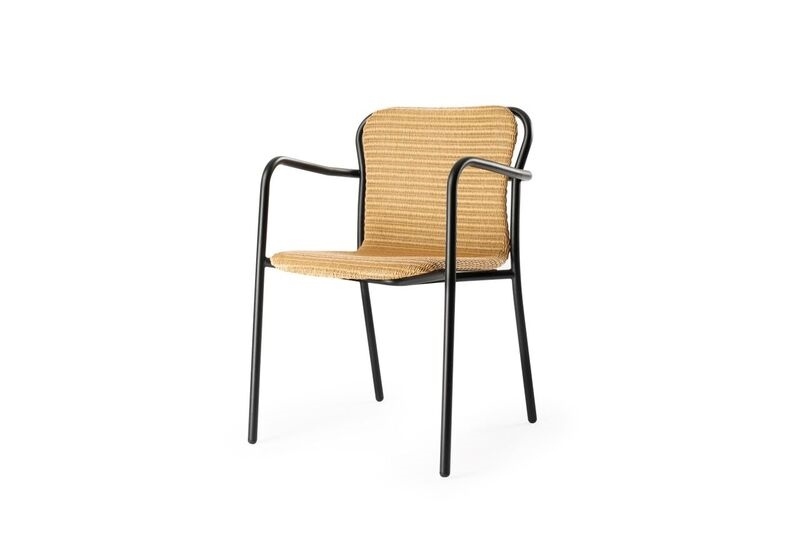 With its durable features, the collection for Holland & Sherry is perfect for hotels. Champalimaud herself chose the materials, textures and colours that she would use when designing hotels, such as the recently completed The Academy and the highly anticipated Monkey Island, which is about to be unveiled. Collecting Best Wallpaper Collection of the show was Anna French’s Palampore collection. The highly detailed collection takes strong inspiration by the strong visual and graphic arts and design moment that occurred at the turn of the 20th century – with purple being a dominating colour story within the collection. Another wallpaper that captured the attention of the crowd was Cole & Son’s new hand-painted Botanical range. The collection, which is inspired by a seasonal exploration of the English landscape, was showcased in the company’s new Chelsea showroom home. Strong references of lilac, wisteria, thistle, bluebells, roses, allium, fern and maidenhair are featured in the wallcoverings and designer Kathleen Hockey was at the showroom with a live painting demonstration to help further explain the range. 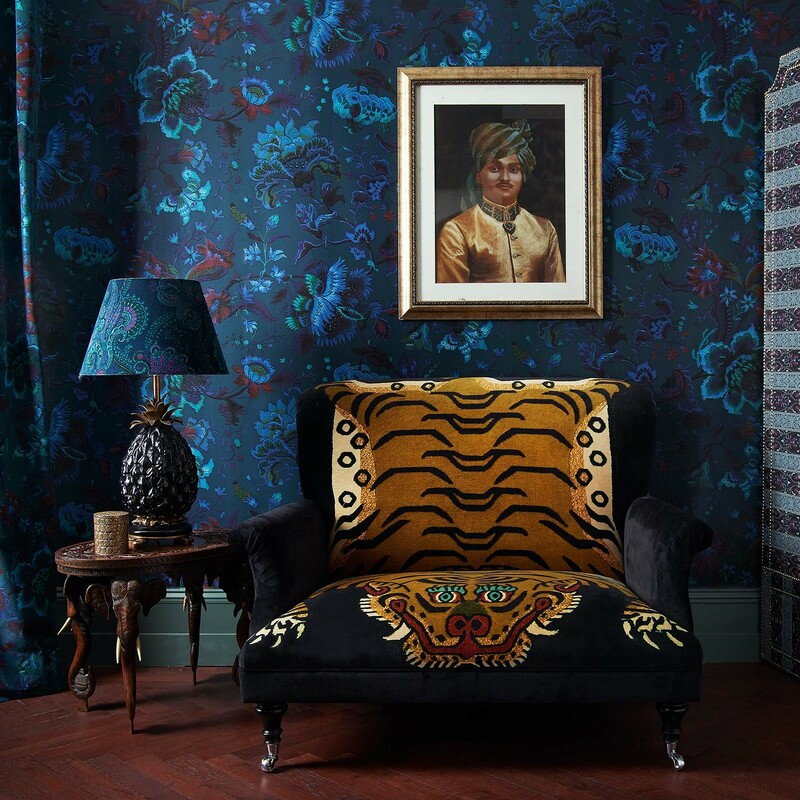 Showcasing something different, edgy brand House of Hackney unveiled a spectacular collection of wallpaper, fabrics and accessories created in partnership with the renowned and historical French wallpaper house, Zuber. But what really stood out was the eye-catching furniture, with the Saber becoming the statement piece of the showroom. This year, Focus/18 celebrated its positive power with ‘Journey of Colour’, a specially commissioned installation by international artist Moritz Waldemeyer which offers an unforgettable immersive experience of light, colour and movement. Tackling the topic of ‘Interiors in two great cities’, interior designer and owner of PSW Interior Design Paul Williams and architect and designer Emmanuelle Sirven, discussed how each destination’s distinctive voice have made them the interior design hubs they are known for being today. In addition to this, tickets to this year’s Brit List, which on November 22 will celebrate the best designers, hoteliers and architects in Britain today, are available online. There was an overarching theme of ‘The Colour of Light’ happening among Chelsea, with two designers, Rebecca Weir and Sophie Robinson, taking on the topical talk on how to inject light and personality into your interiors. Robinson’s talk focused around the psychology of colour and how it can be used to invigorate the design process. Meanwhile, Weir’s panel focused the topic on lighting technology, a trend that was predicated by Richmond’s Fiona Thompson not so long ago. Wrapping up the show was Arte International with a fabulous, in-depth trend report on the rise in powerful, positive and exuberant palattes. The Design Centre Chelsea Harbour‘s Becky Metcalfe took the microphone to give audience members a round-up of AW18’s most defining interior trends. Hidden in London’s leafy neighbourhood in south west London – in between Richmond and Kew – Syon Park, for the last time, became a hub of design, welcoming the world to experience the latest products, trends and hot discussions. The theme given to the designers who created this year’s main entrance was Blank Canvas, which opened the floodgates to let in innovative, bold and lavish designs from four visionary creatives. Henry Prideaux took the theme and unveiled a classic British set which was inspired by his school days. The set took materials and colours of his school, the uniform, the architecture and incredible aesthetic of his surroundings. Simone Suss went geometric and quirky, incorporating the interests and passions that have inspired her including a diverse spectrum of music, art and fashion. Meanwhile, Brian Woulfe went into the jungle with bold, botanical design and Jo Legleud and Scott Maddux went ruby red with a strong disco theme. Where lighting has becoming such a major focus as technology improves, Le Deun Luminaire were certainly ahead of the curve resulting in them winning Best New Product Launch by the Decorex awards, and its clear to see why. With a strong focus on dynamic, statement lighting, the company has succeeded in its mission to allow function to generate the shape, and to create lighting that is effective, not only decorative. This year, the show’s 400 exhibitors included the likes of Knot Rugs, Ian Sanderson and Dedar to Little Green, Timorous Beasties and Robert Langford. 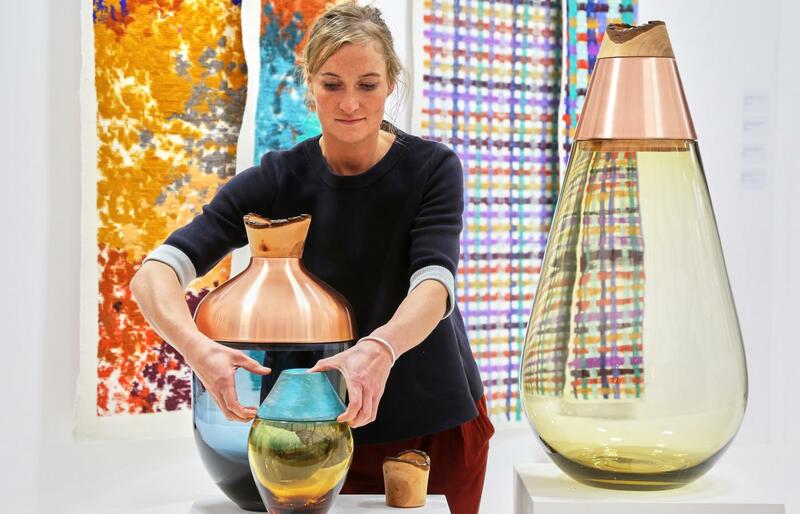 Decorex also welcomed around 50 first-time exhibitors – Officine Gullo, Sahrai, Meisterwerke, Another Country, Sharon Marston and Benott among them. Another interesting addition to this year’s show was ‘In The Making’, an area of the hall which shed light on how products are made, finished and decorated, using artisans and craftspeople to showcase materials and design processes. The first participant was Shalini Misra Ltd, a London-based interior designer with an impressive portfolio of award-winning projects. The studio partnered with iconic British luxury brand Asprey to create an interactive ‘dining-scape’. Next was Lancashire-based wallcovering brand Lincrusta. Crafting exceptional wallpapers since it was founded in 1877, the brand’s production remains entirely in the UK. It showcased its unparalleled expertise with paint effect demonstrations that revealed how they can be applied to wallcoverings. Pigmentti offered insight into the technique of bas-relief Marmorino and gold leaf, bringing the ancient material of Marmorino into contemporary architectural design. Live demonstrations were staged while an accompanying wall installation showed the intricacy of a completed design. The final participant to be announced was Artisan Collective. Its area hosted a group of designers that showed a range of skills, such as furniture making, upholstering and wood-carving. The space featured four different makers a day for the duration of the show, each recreated ‘a day in the making’ to reveal what a normal day in a workshop or design studio is like. There seemed to be a strong sense of indoor-outdoor among many of the new products exhibited at the show. Photographer Benjamin Rice showcased his large, at-one-with-nature photography in what can only be described as his own private gallery. Fenella Elms, meanwhile, unveiled tactile art/wallcoverings made from porcelain. Innovative mirror-tech company Overmantels displayed its latest collection of TV mirrors, following large demand for hidden technology. Technology giants Bang Olufsen displayed a minimalist stand as they prepared to launch what was being billed as its ‘coolest speakers yet’, a coin shaped speaker that’s volume controls via tilt. The bold yet minimal and ironically titled Beosound Edge is roughly the size and shape of a car wheel and is designed to blend in to its interiors. Colour and looking ahead to the future was this year’s theme as the show took some serious moves to up its game on the design scene. The highlight of the show, in addition to welcoming leading brands into the exhibition hall, was the quality of the 100% talks. Highlights included Thomas Heatherwick, Marcel Wanders, Kelly Hoppen and Marcus Fairs who all took the stage throughout the week at the show’s home in London’s Olympia. In regards to the exhibitors, the focus for many was corporate furniture with several companies displaying colourful and quirky options. 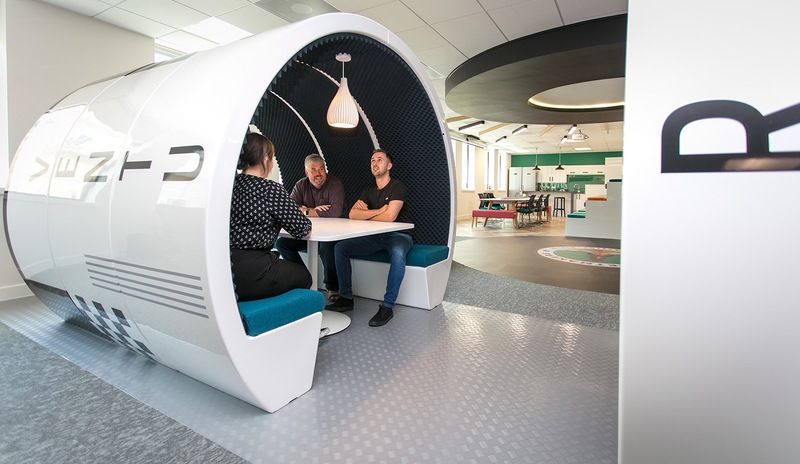 Of those companies was The Meeting Pod Company, which impressed with its fully customisable meeting pods. Made in high quality composite external surfaces, the pods can be installed inside or outside and come in a range of sizes to fit and suit any space. With the promise that it can create virtually any internal or external colour combination, material or specific branding, the company has recently just completed a piece for a client which requested its pods to look like a rocket. Down the vibrant carpets, 100% Futures was also an interesting add-on, following much hype in the industry on how technology will further shape the look and feel of the hotel of the future. The new exhibition shone light on some of the most exciting designs under the theme ‘Designing for London’ across travel, technology, wellbeing, public spaces and sustainability. Turning up fashionably late, as ever, opening on the Thursday, designjunction, in my opinion, had the sharp edge over London Design Festival with quality brands and sheltering a real, unmatched designer buzz on the quirky riverside of the Southbank. The award-winning event – and rightly so – showcased more than 200 of the world’s most iconic design brands. The show was presented across three areas which are owned and managed by Coin Street Community builders; the Doon Street site, OXO Tower Wharf and Riverside Walkway. Highlights this year included the second edition of the Rado Star Prize UK, The Mud Shell Project by Stphanie Chaltiel as well as talks programme curated by Justyna Sowa. On the exhibition floor, LSA International displayed a dymamic sneak peek of its SS19 collection of glasses in-between a strong focus on furniture. New Zealand-based brand Revology was at one with nature with a eco-friendly and striking product which combines dark wood and is made from 100% recyclable, sustainably sourced composite linen fibres, bio-based resin and recycled brass. Another brand that stood out with bold and unique designs included Norr11‘s simple and clean collection, Galvin Brothers‘ quirky hand-made furniture, Johanson‘s eye-catching bar stools and James Burleigh‘s contemporary chairs, tables and stools. 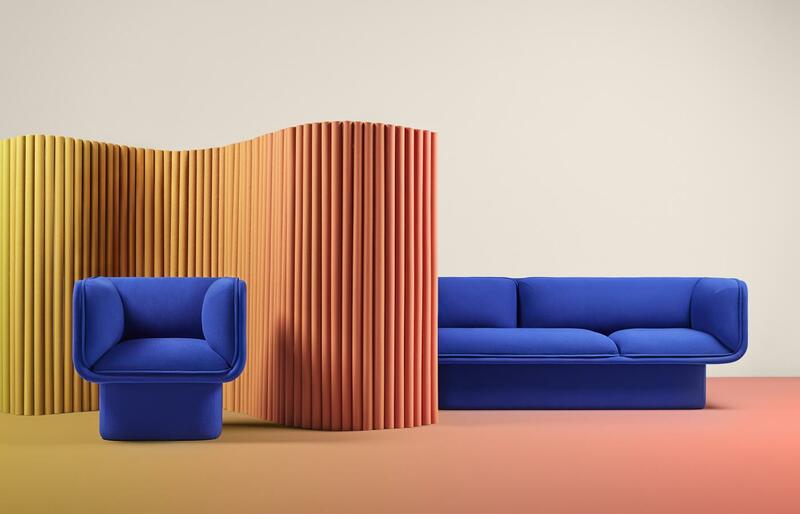 Furniture specialist Vitra showcased the new Belleville collection by Ronan and Erwan Bouroullec. Launching in the UK for the first time, the Belleville family consists of hybrid chairs and versatile tables, characterised by its varied materials and muted colours. Leading British furniture brand Deadgood, on the other hand, put the spotlight on its new Hug Armchair, which utilises Lloyd Loom, a traditional yet somewhat forgotten 20th century material, manipulated over a plywood shell and sat atop a recycled steel frame. 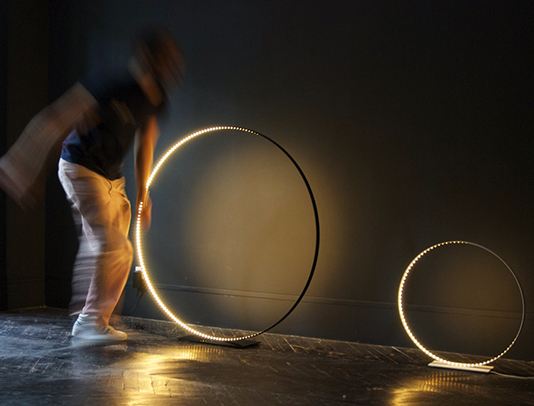 Downstairs, lighting up ‘lightjunction’ with so much focus on technology in lighting at the moment, there was a clear indication that manufacturers are exploring with the elements, combining materials to create stunning effects. Venturing outside zone 1 to the creative heart of East London, London Design Fair was a four-day industry event that brought together 550 exhibitors from more than 36 countries. For 2018, the show hosted 10 country pavilions, from all corners of the world including the return of the Swedish Design Pavilion alongside the Balearic Islands, Italy, Finland, Korea and Japan. Other highlights of the week included a fabulous party at Shoreditch’s The Curtain to celebrate 10 years of Design Triangle, the exclusive opening of Kent + London and Kartell by Laufen unveiling its East-meets-West collection in collaboration with celebrated designer Ludovica + Roberto Palomba. 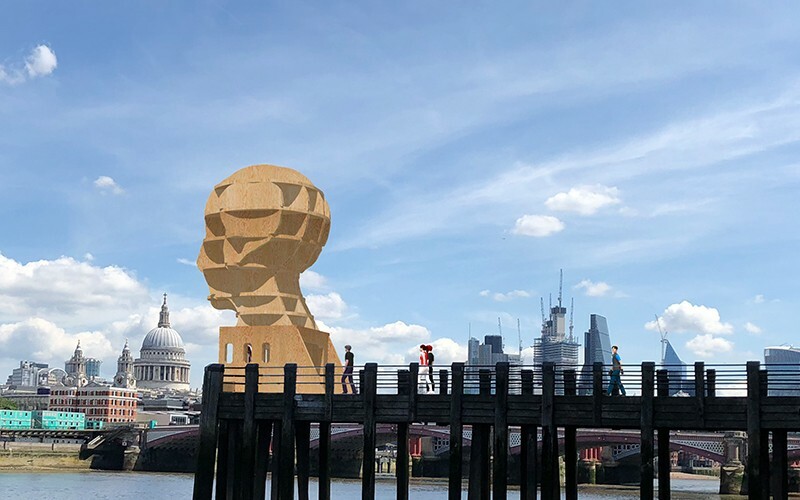 It’s fair to say that London Design Festival has delivered once more in showcasing to the world that Britain remains a strong design hub for inspiration, ideas and savvy innovation. London leaves a lasting impression on the hundreds and thousands of visitors who can now return back to their studios full of creative ideas and vast inspiration.